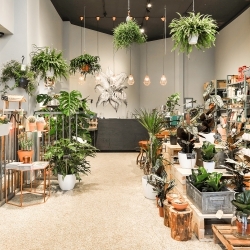 What’s more relaxing than tending to our plants? Not much we would say 😉 But we found something that comes close in terms of relaxing, clearing the mind and having fun: coloring! In the past few years we have seen a new phenomenon in bookshops around the world, coloring books for adults. And today we get to introduce you to a new title that’s coming out today(!) 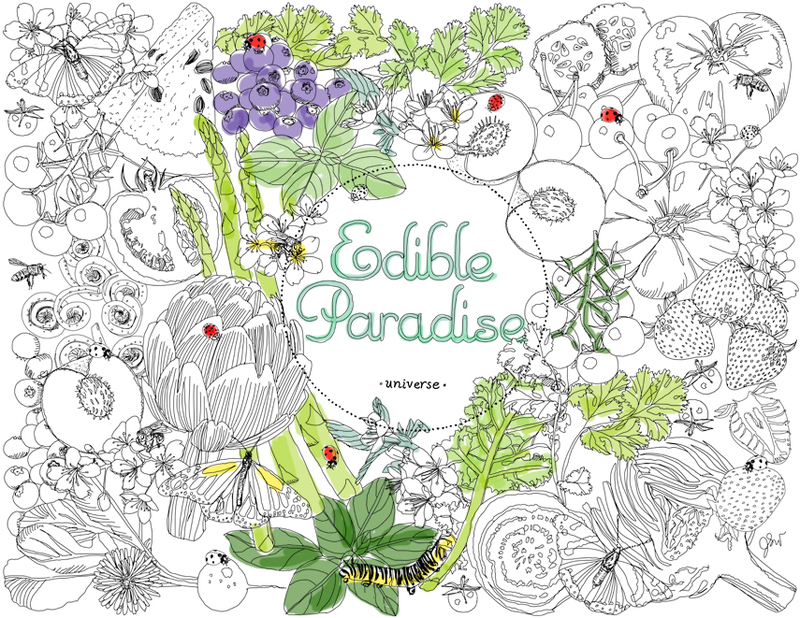 by illustrator Jessie Kanelos Weiner called: “Edible Paradise: A Coloring Book of Seasonal Fruits and Vegetables“. It reintroduces nature and seasonal eating in a really fun and very approachable way and is a small gesture for greener living in the home and kitchen. 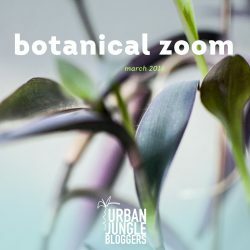 And because we like fruits and veggies, but love plants, Jessie created two exclusive designs just for us Urban Jungle Bloggers! You can download them by clicking on the images. 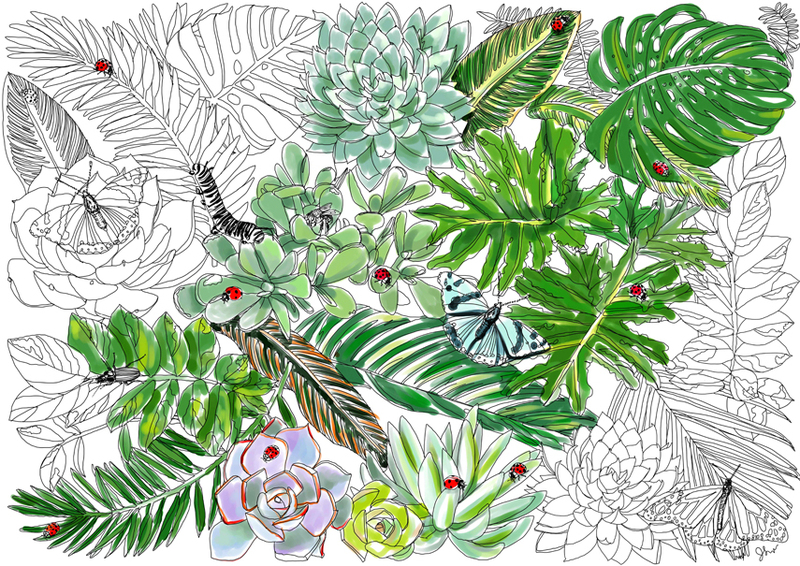 A dense leafy illustration with ladybugs, butterflies and bees…. 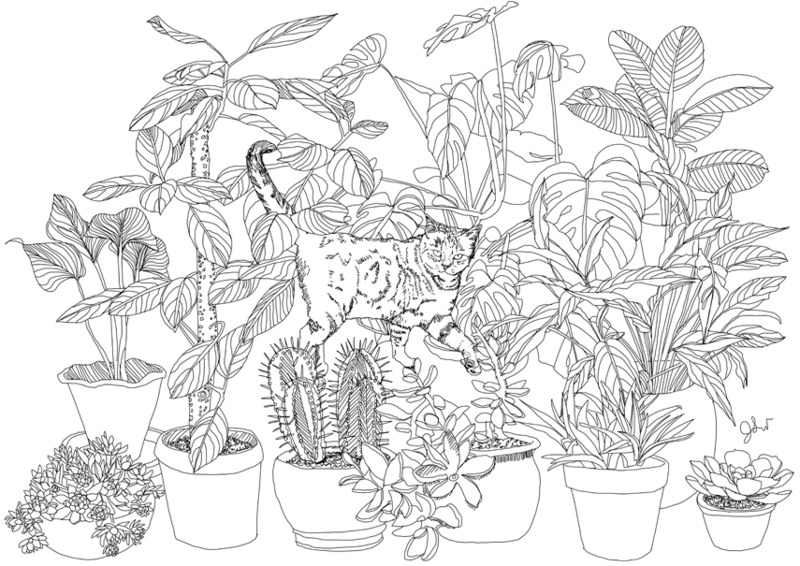 … and an illustration with potted plants… and a jungle animal! Which planty illustration is your favorite? And if you like, tag us with the result of your coloring magic on Instagram or Twitter. We’d love to see! 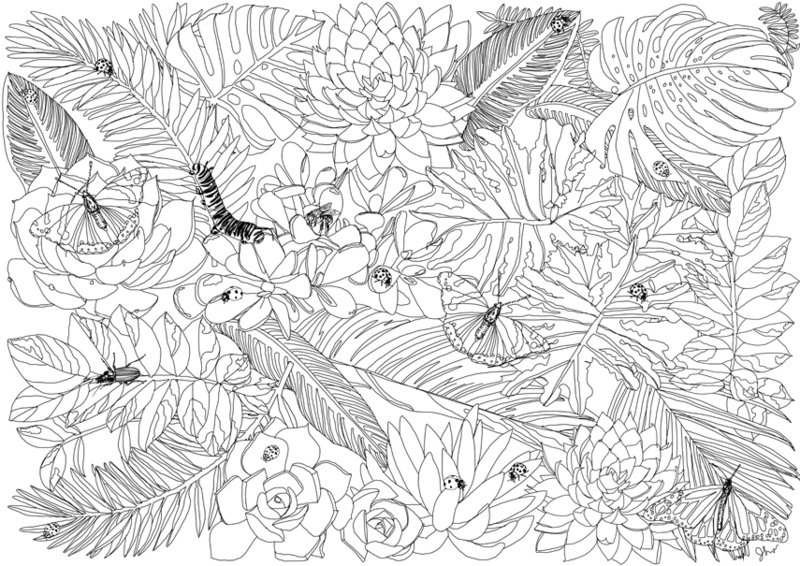 “A delightful coloring book that celebrates the magnificent beauty of the edible plant kingdom. This beautiful, artfully illustrated coloring book is an enchanting journey of discovering the seasonal delicacies found in forests, fields, gardens, and urban farmer’s markets. The user will get lost in the intricate hypnotizing details of delectable images of strawberry patches; bouquets of fresh herbs; beehives and honeybees; fall harvest baskets and nuts rolling on the forest floor. This tactile and creative activity book encourages participants to turn off their screens and de-stress, and perhaps inspires them to take out their gardening gloves to plant some radishes or to take a trip to the farmer’s market. This charming, elegantly designed volume of illustrations—great for such mediums as colored pencil, pen and ink, and watercolor—is a treat for the senses, guaranteed to inspire food lovers, nature enthusiasts, gardeners, and parents wanting to encourage their children to appreciate the wonders of nature’s edible bounty”. And if you’re totally hooked on coloring now, you can purchase Jessie’s new coloring book “Edible Paradise: A Coloring Book of Seasonal Fruits and Vegetables” on Amazon and follow Jessie on Instagram or visit her website for more! Thank you Jessie for the plant-love!